...serving authentic Caribbean food to our friends and family and YOU next Sunday, April 22 at 12:30 @ Crossroads Church, Bremerton WA. Come hear testimonies from each team member, sample a taste of true cultural cuisine, and find out more about our purpose in going to the DR and how you can pray for us. 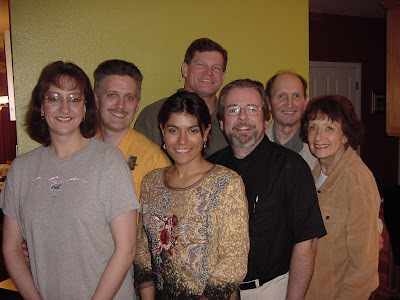 Our smiling team as pictured from left to right: Renee & Dave Schertzer, Mima Marquez (front), Doug McMicken (back), Jim Stuart, Earl & Ruth Rue.